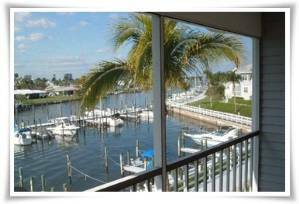 This MONTHLY rental is a beautifully furnished 2nd floor corner unit overlooking the marina basin at Boardwalk Caper. It would be a perfect place to get away from your dull routines and enjoy the water! Listen to the water slapping against the boats at dock; enjoy a swim in the large pool overlooking the Bay; watch for the dolphins! Enjoy spectacular sunsets! 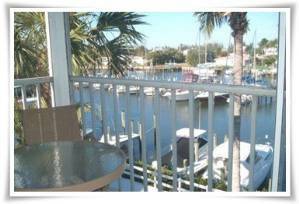 Includes deep water boat slip for up to 40 foot boat--with excellent access to Back Bay and just minutes from the Gulf--so BRING YOUR BOAT! 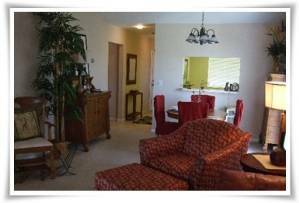 You will enjoy living in these cheery open spaces with volume ceilings. Master Bedroom includes king bed, walk-in closet, and private bath. Eat-in kitchen is fully-equipped for someone who loves to cook! Screened in lanai with sunset views overlooking Yacht Basin. Second story of two-story building; no elevator. Reserved covered parking. 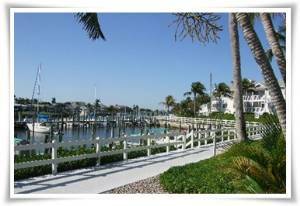 Boardwalk Caper is a quiet, gated and secure community with beautiful landscaping. The "mile" boardwalk will become a favorite morning or evening walk. There are three large heated swimming pools and a hot tub spa. 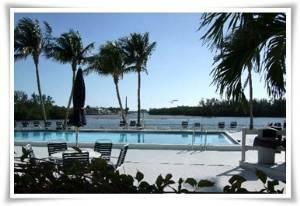 One of the pools overlooks the Back Bay where it is fun to watch the dolphins, seagulls, and boats go by. 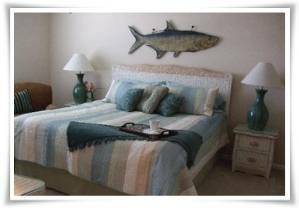 Amenities include two tennis courts and a basketball court. BBQ areas are by the pool. 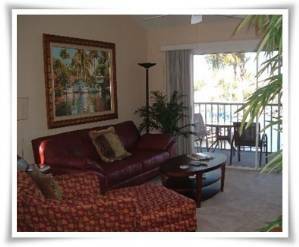 It is just a 10 minute bike ride or 15 minute walk to Fort Myers Beach! If you choose, ride the Beach Trolley for 25 cents from Boardwalk to the Beach, restaurants, and shopping. Fishermen can choose from fishing off the docks at Boardwalk, from the Fishing Pier on the Beach, or take a fishing charter for deep-sea fishing! Enjoy the nearby shrimp fleet, fresh seafood markets, and all you can eat fish at nearby restaurants. Lots of "vacation do's" around here besides the beach--see the Thomas Edison and Henry Ford Homes, Matanzas Preserve, go kayaking at Lover's Key, visit the Shell Museum and Ding Darling refuge on Sanibel, and more. The Big M Casino ship sails daily, as does the Key West Express! 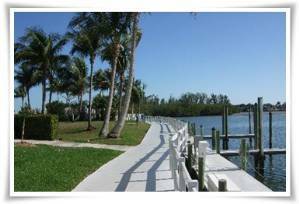 Enjoy the water and boats of every description while walking the one-half mile boardwalk! There are four pools to choose from. This is my favorite!